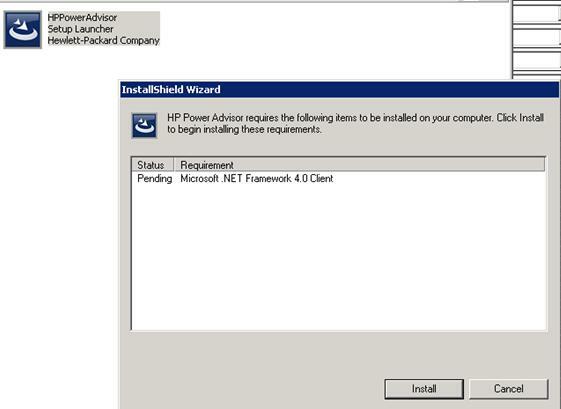 The HP Power Advisor is a tool provided by Hewlett-Packard to assist in the estimation of power consumption and proper selection of components including power supplies at a system, rack, and multi-rack level. 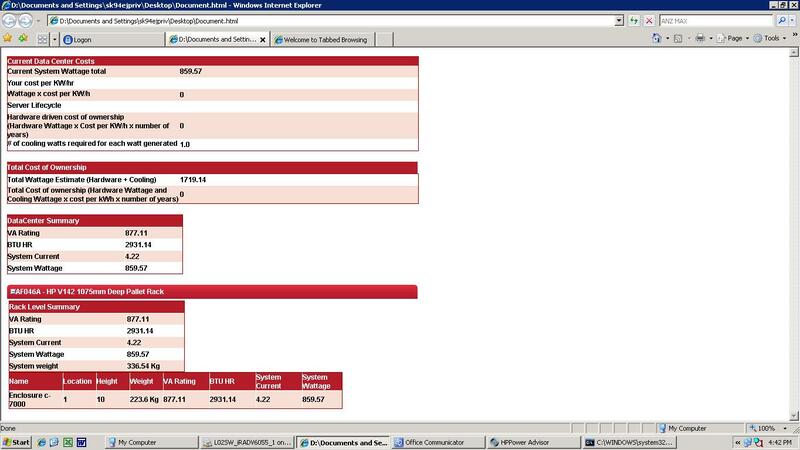 A variety of additional features are also provided including a condensed bill of materials, a cost of ownership calculator, and a power report. 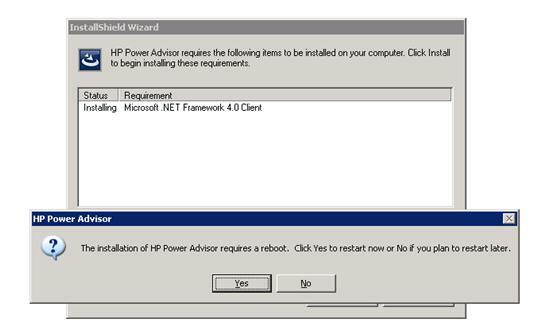 You can install HP power Sizing tool on XP desktop and it requires reboot. 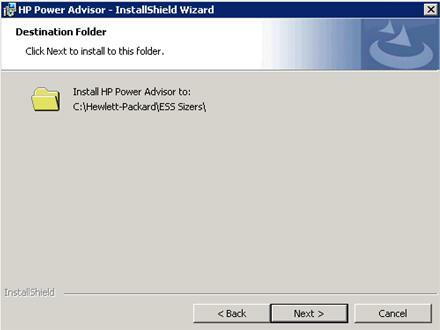 and click on “Setup.exe” to start installation of HP Power Advisor. 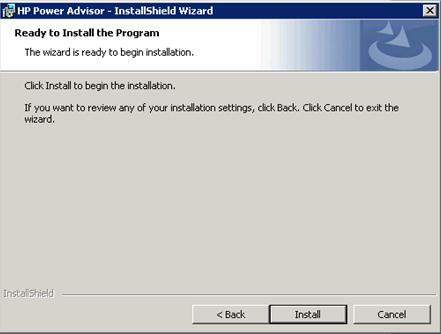 After installing .NET framework client, it asks for reboot. 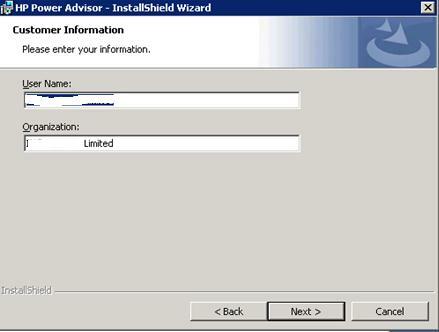 Reboot the machine now or later as per your convenience. 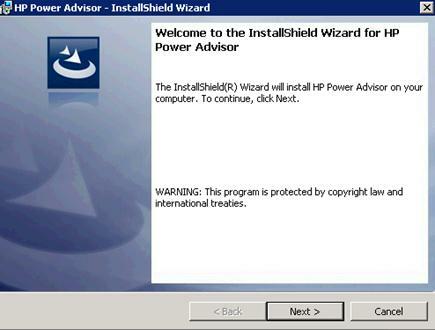 After finishing installation, open the application via Start – programs – Hewlett-Packard- HP power Advisor. 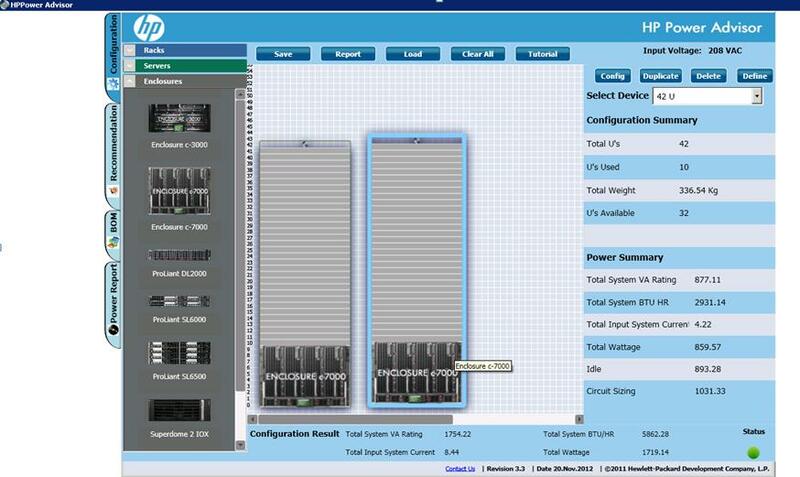 Then select Rack and server (Down arrow) or enclosure based on what you are trying achieve. Drag and drop blades onto enclosure. 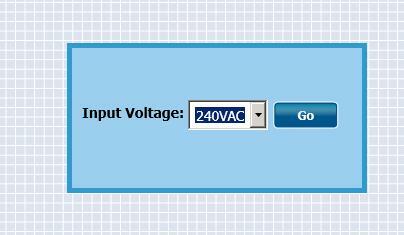 Select individual blade then click on “Config” to enter individual blade config or select whole enclosure and click on config to enter Interconnect module details. 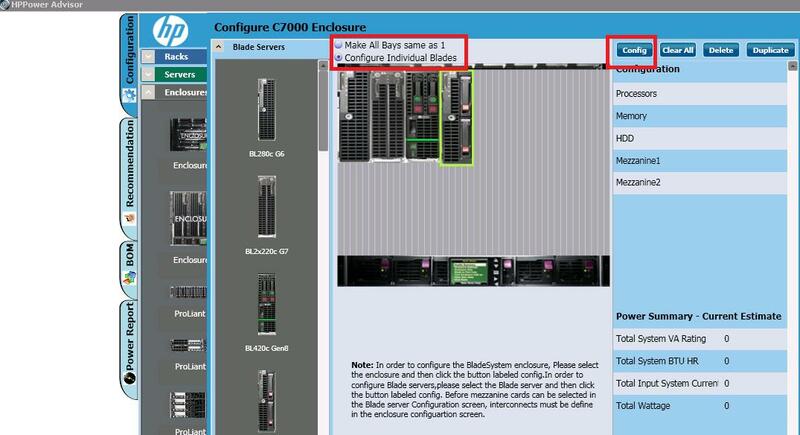 Click on “Duplicate” if you have multiple racks/ enclosures/servers. 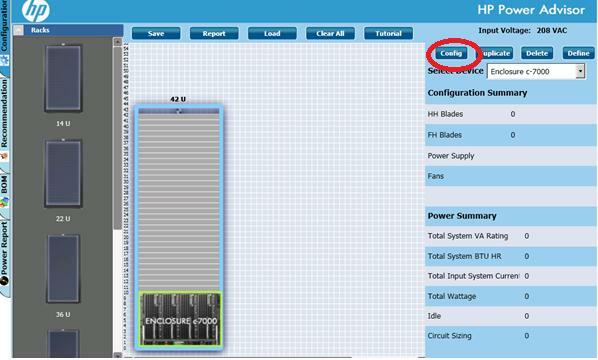 do you know any 3par power calculator? 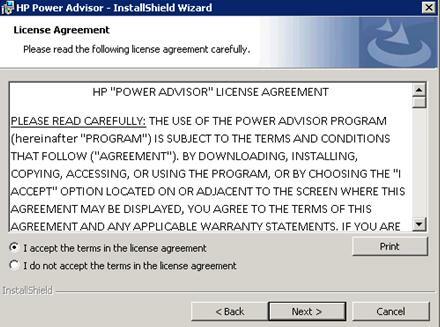 Try with latest version of HP Power Advisor. 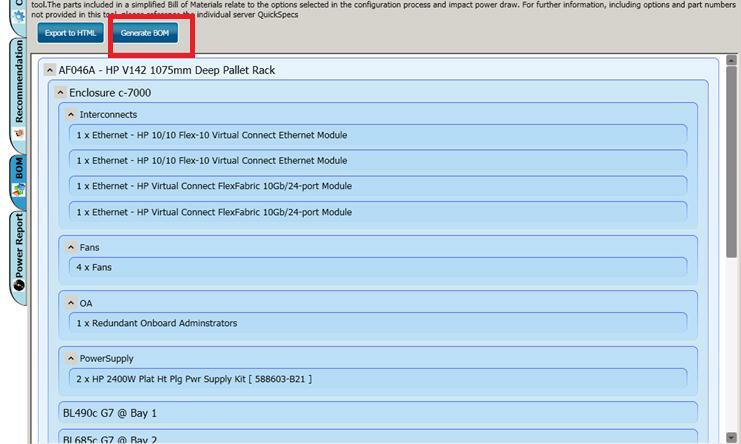 Seems it supports storage products power calculations including HP 3PAR. 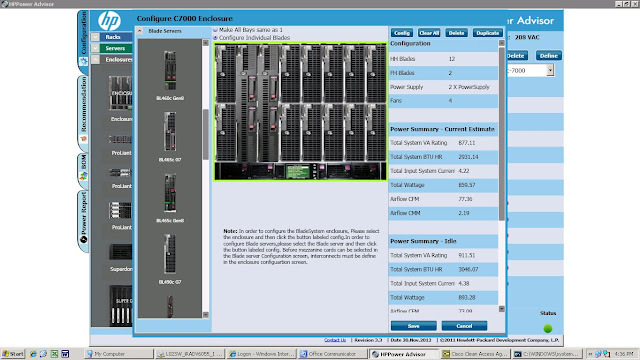 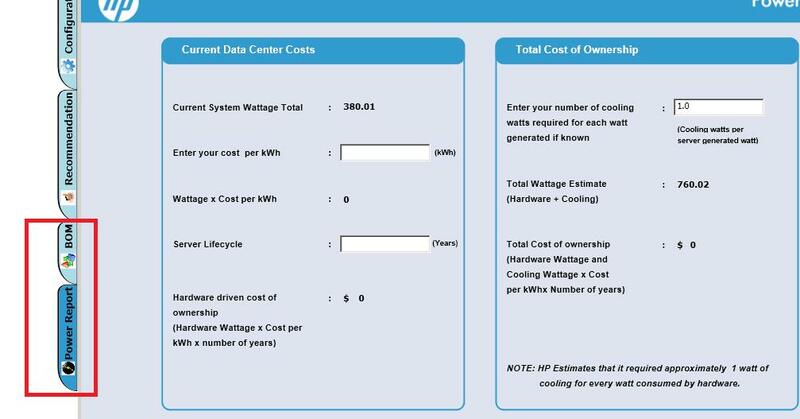 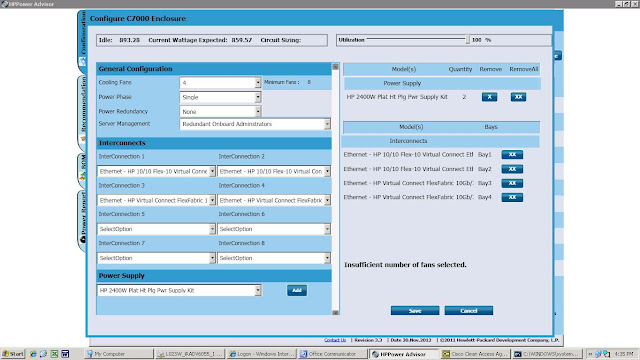 HP Power Advisor is an easy-to-use tool that estimates your data center power requirements for your server and storage configurations. Version 4.x includes the new HP ProLiant Gen 8 servers and options as well as a new Smart Update feature that automatically updates your application when opened.